More than 2 million construction workers and nearly 300,000 industry workers in the United States are exposed to Silica Dust on the job. 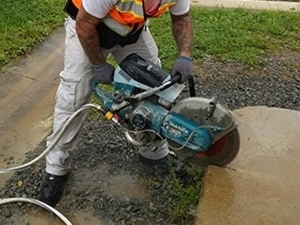 Workers that inhale crystalline silica are at increased risk of developing silica-related diseases that can be debilitating or even fatal. Protective steps must be taken to prevent, reduce and measure exposure levels to silica dust to ensure the safety of all workers. Crystalline Silica is a common mineral found in the ground. When products or materials are harvested, manufactured or produced using natural elements from the Earth, these materials may then contain silica. Common work materials found on job sites that may contain crystalline silica include sand, stone, rock, concrete, brick, mortar and block. Silica is also found in products like glass, pottery and ceramics. 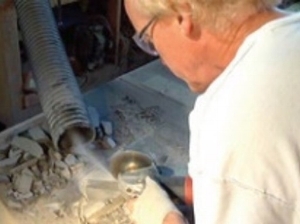 Respirable crystalline silica dust is created during normal construction, industry and manufacturing activities when cutting, sawing, grinding, drilling or crushing any material that has silica like concrete, brick and stone. These super-fine silica particles are released into the air and workers are in danger of inhaling these silica dust and developing serious health conditions as a result. OSHA Construction Standard 1926.1153(d)(1) and OSHA General Industry Standard 1910.1053(c) Permissible exposure limit (PEL). The employer shall ensure that no employee is exposed to an airborne concentration of respirable crystalline silica in excess of 50 μg/m3, calculated as an 8-hour time-weighted average (TWA). OSHA Construction Standard 1926.1153(d)(3)(i) and OSHA General Industry Standard 1910.1053(f)(1) Engineering and work practice controls. The employer shall use engineering and work practice controls to reduce and maintain employee exposure to respirable crystalline silica to or below the PEL, unless the employer can demonstrate that such controls are not feasible. Wherever such feasible engineering and work practice controls are not sufficient to reduce employee exposure to or below the PEL, the employer shall nonetheless use them to reduce employee exposure to the lowest feasible level and shall supplement them with the use of respiratory protection. A dust mask is not enough! Respiratory protection is only permitted when other dust control measures are not sufficient. Effective dust control methods must be implemented to prevent silica dust from being released into the air. 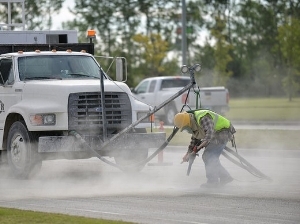 When dust control methods do not fully control the silica dust, then the amount of silica dust that workers are exposed to should be determined. Workers must be protected from silica dust, with dust controls and safer work methods, when it is measured at or above the level of 50 μg/m3, averaged over an 8-hour day. Respirators must be provided to workers when dust controls and safer work methods can not effectively keep exposure under 50 μg/m3, averaged over an 8-hour day. All employers who have workers that are exposed to silica dust must establish the following and affected employees must be aware of and assist in effectively implementing these requirements. A written exposure control plan must be implemented that identifies silica-exposure tasks and the methods that will be used to protect workers. A competent person must be designated to implement the written exposure control plan. Housekeeping practices that expose workers to silica dust must be restricted. Medical exams must be offered to employees every three years for employees who are required to wear a respirator for 30 days or more per year. All workers that may be exposed to silica dust must be provided training on the health effects of silica exposure, the tasks they may encounter that would expose them to silica and the ways they can limit their exposure. Records must be kept of workers silica exposure and medical exams. Apply water to a saw blade when cutting materials or use tools equipped with an integrated water delivery system. Use tools equipped with shrouds and commercially available dust collection system. Install local ventilation or use vacuums to collect dust. Use enclosures that isolate the work process. Avoid working in dusty work environments whenever possible and wear a respirator when needed/required. Wet dust before sweeping it up or vacuum dust instead of sweeping it. Do not eat or drink near dusty work areas. Park cars and trucks away from the work area so they will not be covered with silica dust. Shower (if possible) and change into clean clothes before leaving the worksite to prevent carrying silica dust away from the work site. For more information and resources on how to work safely with silica visit silica-safe.org and explore OSHA's silica resources. If Silica Dust is a hazard on the job, it is important that all team members that are exposed to silica dust receive training on how they can protect themselves against exposure. A membership to Weeklysafety.com comes at a very low price that never goes up no matter how many employees you have and no matter how many awesome safety topics you use. You don’t need any fancy software, employees don’t need to download an app, and it's very easy to get started. Included in your membership are hundreds of safety topics that you can use for your safety meetings, toolbox talks and safety moments including a safety meeting topic like this one that covers Silica Dust.